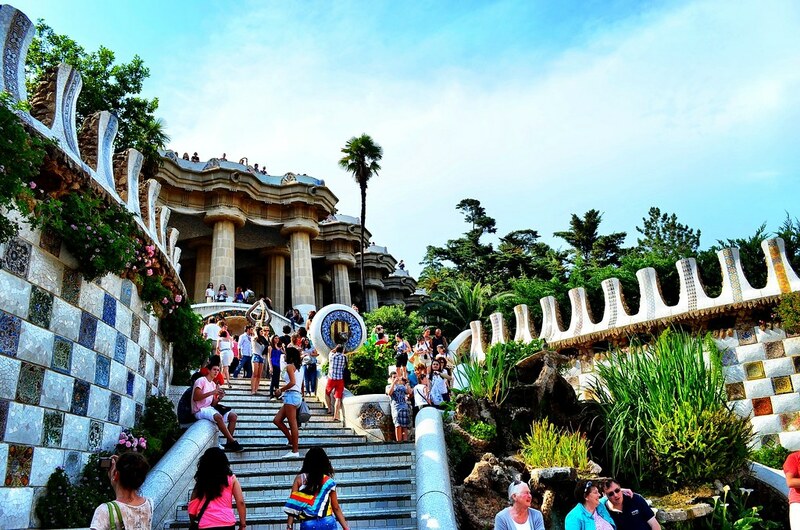 If you ever visit Barcelona there’s one thing you can’t miss; the city-wide obsession with the early 20th century architect Gaudi. Opinions on this great master’s work are varied, from hatred to passionate love. 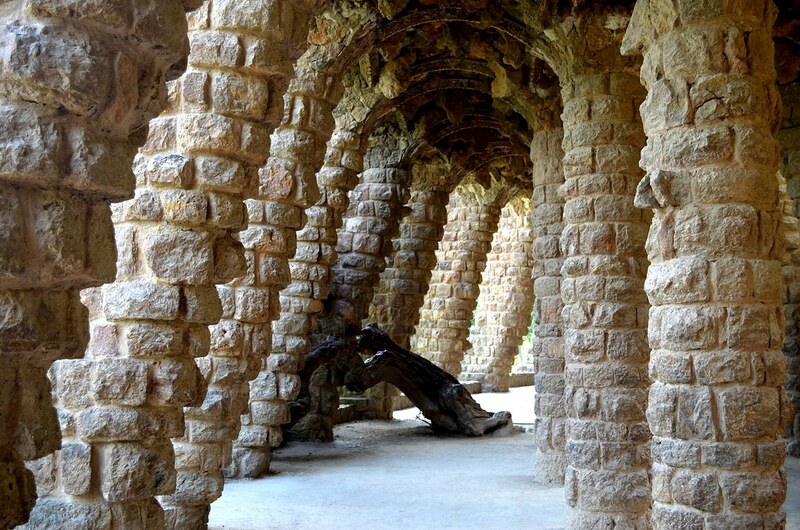 Personally, I’m not sure how I feel about his work but I was mesmerized by the design at the massive Park Guell. Designed around 1912, the Park is now a UNESCO World Heritage Site and has shifted from its original purpose as a housing development to a beloved public space. Walking into the park is like tripping down Alice’s rabbit hole as normal colors and shapes no longer hold their meaning. The park was modeled after new theories about urban planning that spanned the globe at the start of the 20th century. The garden city movement promised a healthier, more relaxed way of living within the confines of a sometimes dirty and hectic city. 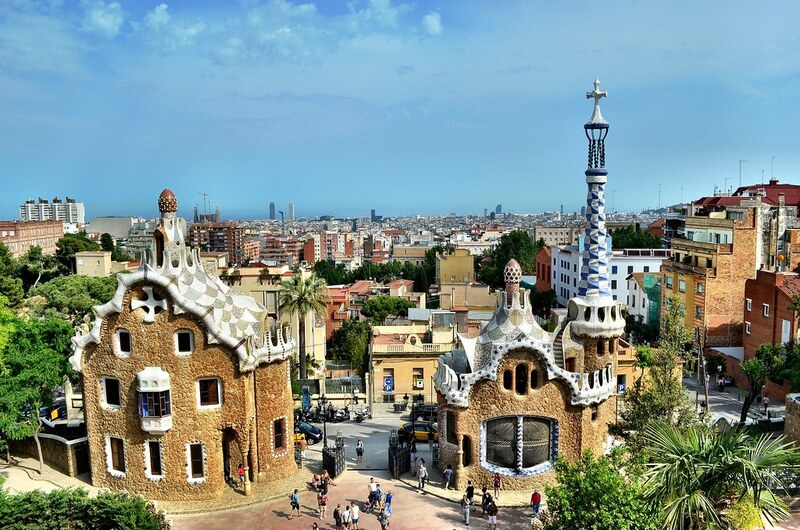 Sadly, the development never took off even though Gaudi himself had a house on the site. The area was left in near ruin for years but now has been completely rehabilitated and is a popular spot for locals and tourists alike to relax. 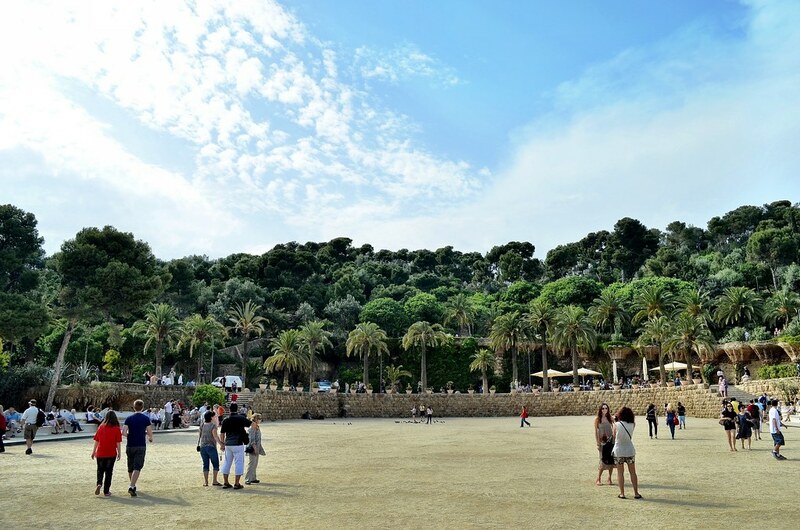 Not only is the park huge, it encompasses 42 acres in the middle of busy Barcelona, but it’s also insanely popular. I was there on a public holiday and the locals far outnumbered tourists as they found quiet spots for afternoon picnics. It’s nice to see something being used maybe not exactly as it was intended, but in a way nevertheless complementary to the designer’s mission. But this was the moment that my newfound respect for the Spanish master began to waver. Parts of the park were enticing but others were just ugly, out of place and dare I say gaudy. I did love his Alice in Wonderland style houses though. One of my favorite public places on earth! I was so taken by the color and architecture there. Interesting fact: it’s also home to the world’s longest continuous park bench. I love photo #7 in the series at the end – we actually have a series of three of those mosaics cropped square hanging in our living room from our ’07 trip there. It was hard to edit down to just these. I have so many photos of the Park! It really appealed to my eye for some reason. 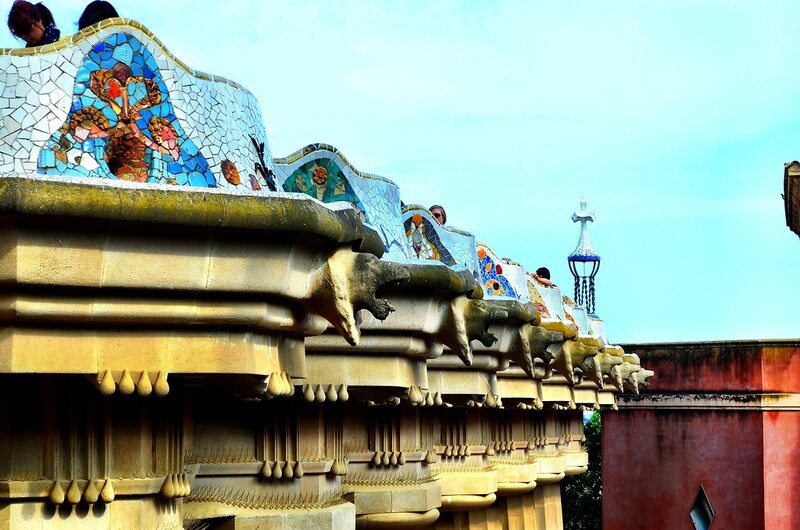 This is probably my favorite thing Barcelona besides the sea! I enjoyed your photos, they’re beautiful. 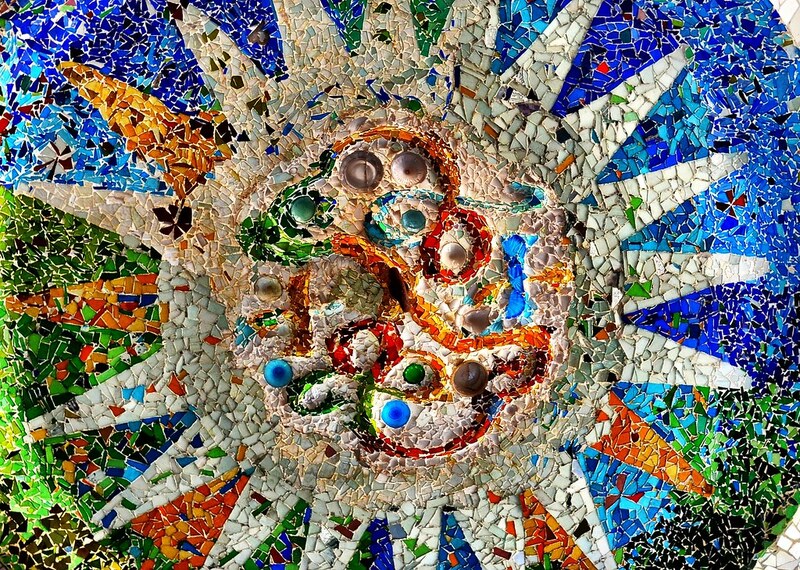 The mosaic designs are very creative. The architecture in this park looks fun and amazing. Thanks so much and yup, it’s a special place. I love it – I think it’s magical! 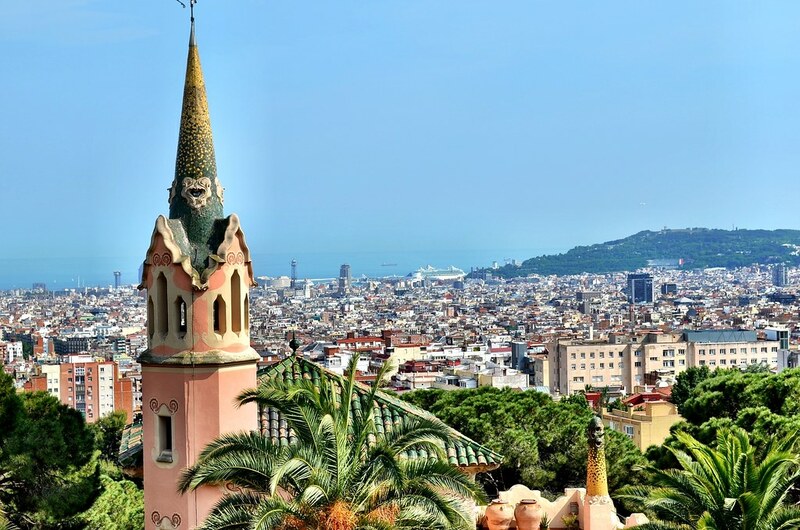 Great photos – the view of the city below is gorgeous! Clearly why the locals love it, it’s such an escape! Hi Matt – I just wanted to add to the above comments; these are truly stunning pictures. The thing that really grabs you with Spain in general is the vibrancy of colors they make use of in pretty much everything they do. It not only looks fantastic but it also lifts your mood. I think alot of areas of the world could learn from this making use of colors in architecture to brighten up drab places helping to ease the depressive mood which the world is currently feeling! 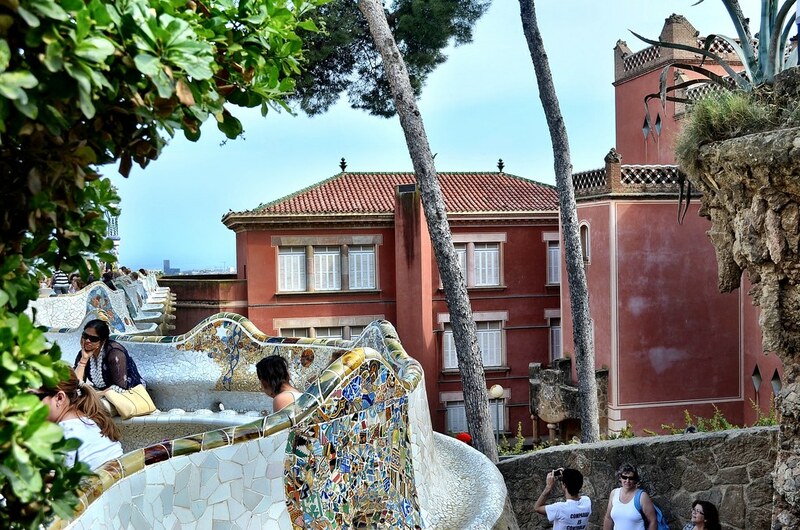 Maybe the parts you didn’t like where the parts that Gaudi himself didn’t finish. Like most of his work, he left the park unfinished. I loved the park but everytime I’ve been there was soooo full! I heard that entrance fees are about to become effective for “maintenance sake”. Anyway, very nice, sharp photos!! Congrats!